I’ve been MIA for quite some time now. The past few months I’ve been working at a fantastic new job. The job has been keeping me busy and sadly the blog was put on the back burner. BOOM! 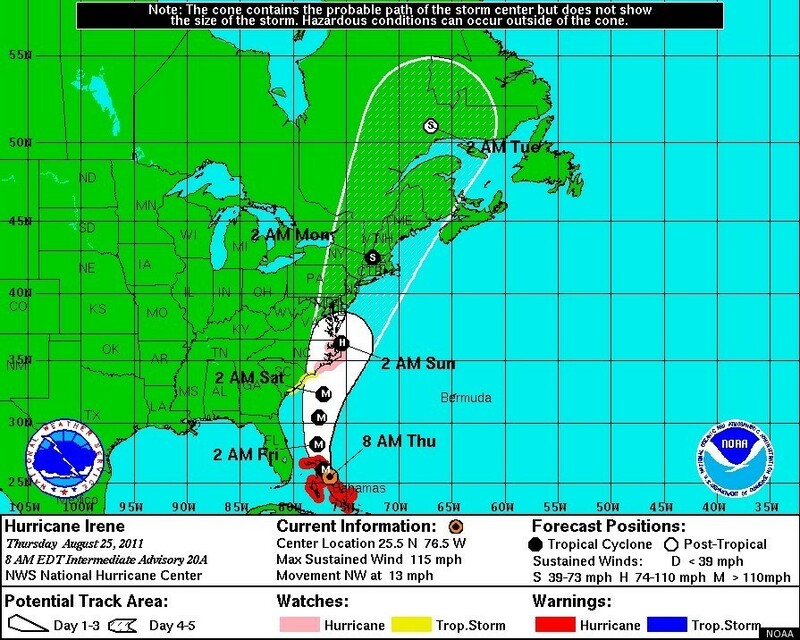 Here comes Hurricane Irene! My vacation plans are on hold while Nature’s fury comes roaring up the east coast. I’m certain I wouldn’t fare too well in a tent in this weather! Instead I am at home. Time to batten down the hatches, buy loads of bottled water, board up the chicken coop, pull out the board games and emergency chocolate and watch the world go flying by the windows! Before the storm hits my family has some serious Hurricane prep work. We’ve got to clean the yard and put everything away. I’ve got to find a way to protect my half finished earth bread oven (blog post to come about the oven). But the most pressing and urgent work to be done before the storm is harvesting our garden. Late August is a bountiful time filled with sun-gold cherry tomatoes, peppers, big red tomatoes, zucchini and a plethora of peaches from my childhood peach tree. The Hurricane (even if it is just a tropical storm) will devestate our garden. So before everything hits we are harvesting as much as possible and trying to freeze, can and bake our way through the piles of fruit and veggies.